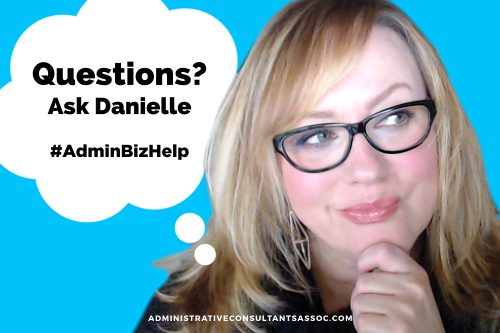 Dear Danielle: Do I Need a Professional License to Be an Administrative Consultant? This is not a regulated industry in the U.S. (or anywhere else that I’m aware of). You don’t need any special kind of license to start an administrative support business. Depending on your state or country, however, there may be some required business licenses and registrations to be in business, that you may need to pay either annually or on a one-time basis. That’s something you would definitely need to look into. I always advise people to contact their respective city, county and state agencies to determine what their business taxing, reporting and registration/licensing requirements are. In the U.S., you would also need to educate yourself about the federal IRS self-employment business taxes and reporting. 1 Comment Posted in Administrative Consultants, Dear Danielle, Legal, Starting Your Biz. Bookmark the permalink. 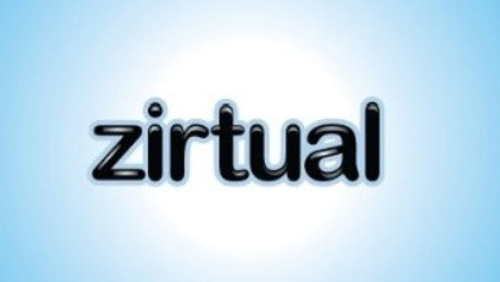 You may have heard that virtual staffing agency Zirtual abruptly ceased operations August 10 without any warning or notice to workers or clients. Today, we learned that Zirtual has been bought by Startup.co. There were a lot of problems with this company, not the least of which was poor business planning, unsustainable growth, and the illegal misclassification of employees as independent contractors, the latter of which is my biggest peeve. A business model based on exploiting workers and disregarding employment laws is bound to fail sooner or later. This is why it’s so important for business owners to do business with companies and independent professionals who operate legally and ethically. It’s also why it’s important for you, as a worker, to recognize going in whether a company you consider working for is operating legally and going to treat you fairly and lawfully. Nothing angers me more than people being taken advantage of and exploited without their knowledgeable and fully-informed consent. For anyone who worked at Zirtual (or any virtual staffing company), before you jump from one exploitive situation to another, I want to shed some light on employment and business so that you cannot be taken advantage of so easily in the future. In the world of work and services, you are either an employee or you’re a business. Independent contractor, 1099 contractor, freelancer, self-employed, independent professional… these are all just different terms that mean the same thing: business owner. As an IC, you are required to pay 100% of your own employment taxes whereas when you are employee, your employer pays half as well as other taxes that are fully employer-paid. There is also no such thing as a 1099 employee. That’s a made-up, imaginary term for a classification that does not exist and is in fact illegal. You are either an employee (in which case you enjoy the rights and benefits provided to employees by law) or you are a 1099 contractor, which (again) is just another name for independent contractor and means you are in business for yourself and as such are responsible for all the duties, taxes and reporting obligations that entails. This is where the problem starts because most of these workers do not understand the difference and the legal and financial implications involved. They don’t realize that when they allow an employer to call them an IC, they just became self-employed business owners. That’s not what most of them bargained for. Most aren’t fully aware of all the rights and benefits that they are deprived of in the process. What this also means is, even if a company classified you as an independent contractor (even if you signed a contract), the law may still consider you an employee. The law does not uphold contracts that are illegal in the first place. An employee is someone who works for a company in exchange for a paycheck. Being an employee or independent contractor isn’t something individual employers get to arbitrarily decide. There are legal standards and definitions about what constitutes an employee, control being first and foremost. As an employee, you are supervised and directed by your employer who requires you to report to them and turn in timesheets. You may also be required to undergo training at the company’s direction. If a company exerts any measure of control and management over a worker, that worker is an employee (and must be lawfully classified as such). Likewise, if the workers ARE the very product of the biz (as is the case with temp agencies, staffing agencies, virtual staffing agencies, etc. ), they must be classified as employees. In exchange for this luxury and privilege of control and the benefit that is gained therefrom, an employer is held to some legal and financial obligations and requirements. At the start of employment, an employee completes an IRS Form W-4. The employee is then given a paycheck in exchange for their work at the usual established company pay cycles and in accordance with local, state and federal laws. By January 31 of every year, the employer is then required to provide the employee with an IRS Form W-2 Wage & Tax Statement which summaries the total monies you earned the previous year, the amount of taxes that were withheld from your pay, as well the employer-paid half of your FICA taxes (Social Security, Medicare, FUTA) and any other particular taxes (eg., unemployment) as may be required by local, state and federal law. I highlight that last part because this is what many people don’t understand. They don’t realize that when an employer illegally misclassifies them as an IC (self-employed independent contractor), that employer is essentially stealing from them. Those are rightful monies owed to you that they are legally required to pay when you are an employee according to the legal definition. What that means is that by illegally misclassifying you, they are shifting 100% and more of those costs onto you instead of paying their legally-required share. Everyone who works and has earnings must pay FICA (Federal Insurance Contributions Act) taxes. FICA consists of 12.4% Social Security tax (up to whatever a given year’s wage cap is; for 2014 the cap was $117,000) and 2.9% Medicare (there is no wage cap on Medicare tax; however, beginning in 2013, if an employee earns more than $200,000, there is an additional 0.9% Medicare surtax that must be withheld from their wages). If you are an employee, 6.2% Social Security and 1.45% Medicare tax is withheld from your paycheck, and your employer must pay the other 6.2% Social Security and 1.45% Medicare taxes. FUTA (Federal Unemployment Tax Act) is another tax that must be paid, which is 6.2% up to $7,000 in wages. This tax is paid 100% by the employer. If you are an employee, there is no employee portion to be withheld. If you are an employee who has been illegally misclassified as an IC, this is more money that is rightfully due to you that the employer is cheating you out of. FUTA, in conjunction with state unemployment insurance systems, provides for unemployment compensation to workers who have lost their jobs. This is another of the rights and benefits that an employee enjoys that an independent contractor is not eligible for. Why Do Companies Classify Employees as Independent Contractors? Why do they do anything? Because of the money. Employees cost a business a lot of money. And I don’t mean only in terms of pay. Besides their benefits and pay, it costs a lot to manage them. Taxing and reporting responsibilities must met. There are employee rights and labor laws that must be observed and complied with. Compared with all that, it’s easier and cheaper to work with ICs than it is employees. But here’s the problem with that: it’s illegal. They don’t get to have their cake and eat it, too. Not when it cheats those workers out of their lawful, rightful employer-paid taxes and benefits. If they don’t want the cost and headache, then they have to give up the control. And if they don’t want to give up the privilege and luxury of control that comes with beck-and-call employees, then they have to comply with the law. That’s just how it works, folks. Companies don’t get to decide at their whim whether to classify someone as independent contractor just because it’s cheaper and more convenient for them. The second they start exerting the control of an employer over a worker, that worker becomes an employee. The first thing to know is that it is 100% the company’s duty and responsibility to properly classify workers. The worker is never responsible for this. I mention this only because many workers worry about taking recourse for fear the law will come down on them, and that is not the case. Keep in mind that if you were an employee missclassified as an IC, you were missing out on all the usual rights, benefits and perks afforded regular employees of the company that ICs are not eligible for such as : unemployment benefits; worker’s comp benefits; severance pay; workplace rights such as minimum wage, overtime pay, sick pay, rest breaks, vacations; healthcare coverage under the Affordable Care Act. The law may determine that you were entitled to those as an misclassified employee. And if you worked for a company that closed up shop and left you high and dry, you’re going to want those unemployment checks. The good news is that you have nothing to lose by looking into these things and possibly a lot to gain. If you were feel you were misclassified as an IC, one of the simplest things you can do is fill out an IRS Form SS-8. The IRS will do the rest of the work after that. If they find that you were misclassified and should have been an employee, it’s the employer who is on the hook any penalties and back taxes you were deprived of. If you’re young, it may not mean much right now, but when you get older and near retirement age, those retirement funds and medical benefits become more real and relevant to you. No matter what your age, those are accounts you should be concerned about and attentive to. They are part of your rightful benefits. Another way a lot of these misclassifications come to light is when people file for unemployment insurance. Yes, even if you were told by the company that you were an independent contractor, even if you signed a contract, I encourage you to file for unemployment insurance. Once you do that, they will also examine the relationship and make a determination. If they find that you should have actually been classified as an employee, it’s the employer who will be liable for those benefits and back tax payments. And, talk to a local employment law attorney. Because I am not one and I don’t want any of this information to be construed as legal advice. I only share this information to point you in some directions where you can get the full information and advice from the proper agencies and legal advisors. That kind of attorney can better and more fully explain all the ramifications of being misclassified as an IC, what benefits and rights you may have been deprived of, how long the statutes of limitations are in your case, the recourse and remedies available to you, and what the next best steps are. There may even be, as we speak, some attorneys or law firms working on some kind of class action. Armed with this information, you can be more knowledgeable of your rights and how things are supposed to work should you decide to work with another company similar to Zirtual. If you work for anyone who dictates any of your working conditions to you, you know now that you must be classified as an employee, that there are employer-paid taxes and other employee rights and benefits that are your right. Okay, I’m being a bit snarky, lol. But you get my drift. Now that you are better informed, in whatever pleasant or diplomatic fashion is your preference, you can be more assertive and point people in the direction of the resources I have linked throughout this post. If you have any questions about any of this, I am happy to answer and help in any way. Please post your questions in the comments. And if you are in a former Zirtual worker, I understand several groups have been started to support each other. I would be happy to speak to your group, either by phone or online, and help shed further light and answer any questions you may have about any of this information about employee classification. Likewise, if any of you are interested in actually starting your own business (otherwise known as self-employment, being an independent contractor), I can definitely answer any of those questions as well. As a business owner since 1997 and the founder of the Administrative Consultants Association, that is my specialty! 5 Comments Posted in Legal, Starting Your Biz. Bookmark the permalink. 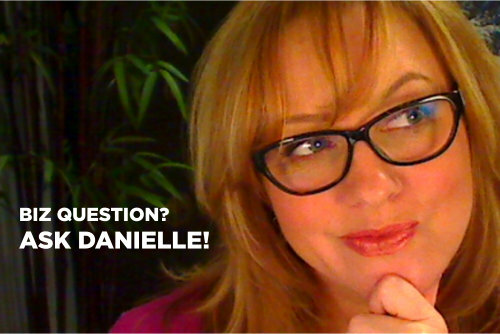 Dear Danielle: Sole Proprietor or LLC? So here’s the thing. States aren’t in the business of advising you about what corporate formation you should seek. That’s why you aren’t finding that information. You might find something on their websites that explains what the different corporate forms are to choose from in your state, but they aren’t going to tell you or advise one way or the other which one to choose or which one may be best for your business. That’s a question for an attorney or CPA in your local area or state. Whenever it comes to legalities, it’s so important to talk to the proper, licensed professionals. No colleague, even the most experienced and knowledgeable one, is qualified or licensed to give you advice on that kind of thing. And you definitely don’t want to rely on the guesses and “legal opinions” of unqualified, unlicensed laypeople because that could cause you some serious harm or get you into legal hot water at some point or in some way or another. When you start a business, you are by default a sole proprietor (or a partnership if there is more than one owner). And there’s no special incorporating you need to do for that (although, you may still need to register the business with your local and/or state agencies, but you’ll have to research that as every city/county/state is different). If you do incorporate, there are possibly some protections and advantages. There is also a lot more filing and reporting obligations and tax designations you may also need to determine. You might hear around the industry that LLC is the most common form of incorporation for our kind of service-based business. However, that’s a generalization that doesn’t take into account your specific and unique business circumstances and information and the kind of work you are doing in your business and how you are doing it. If you were to talk to a CPA or attorney, it’s possible they might tell you that depending on your stage in business, incorporating is too soon or not the right time just yet, or may be overkill, or may not give you the kind of tax breaks or protections you thought you might get. There are just SO many variables unique to your business and your circumstances that have to be weighed and considered by those who are licensed and qualified to advise you properly. Also, just to let everyone know, you get an Introduction to Business Formations guide included when you purchase the Administrative Consultant Business Plan Set (FRM-32) from the ACA Success Store. 1 Comment Posted in Best Biz Practices, Legal, Starting Your Biz. Bookmark the permalink.